Primarily used to detect the concentration of various electrolytes and glucose levels in blood samples, portable blood gas analyzers also measure pH, hematocrit and full CO-oximetry from a single sample. Additionally, blood gas analyzers perform bio-safe automatic sampling systems with clot detection and clearance. Portable blood gas analyzers are a necessary application in healthcare centers, hospitals, clinics and other related medical facilities. Portable blood gas analyzers have also been found to be particularly useful in pre-hospital monitoring for trauma resuscitation. Blood gas analysis is used to identify and appraise respiratory diseases and conditions that influence how effectively the lungs deliver oxygen to and eliminate carbon dioxide from the blood. The acid-base component of the test is used to diagnose and evaluate metabolic conditions that cause abnormal blood pH. Because high concentrations of inhaled oxygen can be toxic and damage lungs and eyes, repeated blood gas analysis is particularly useful for monitoring patients on oxygen. For example, premature infants with lung disease benefit from blood gas analyzers, so that the lowest possible inhaled oxygen concentration can be used to maintain the blood oxygen pressure at a level that supports the patient. In intubated patients placed on artificial ventilation, monitoring the levels of arterial carbon dioxide and oxygen allow assessment of respiratory competence, so that the rate or depth of ventilation, the ventilator dead space, or airway pressure can be altered to protect the patient's most advantageous physiological stability. The measurement of arterial blood pH and carbon dioxide pressure with subsequent calculation of the concentration of bicarbonate (HCO3-), especially in combination with analysis of serum electrolytes, aids in the diagnosis of many diseases. For example, diabetes is often associated with diabetic acidosis. Insulin deficiency often results in the excessive production of ketoacids and lactic acid that lower extracellular fluid and blood pH. Acid-based disorders that are not treated are potentially life- threatening. Acidosis is linked to serious effects, including shock, cardiac arrest and alkalosis with mental confusion leading to coma. There are many models of portable blood gas analyzers available on the market today, both new and used. Various models with a vast array of design features are developed for a variety of applications. Each model is meant to perform a specific task..Portable blood gas analyzers are self-contained, cartridge-based blood gas units with maintenance -free operation. The durable cartridge is comprised of a sampling unit with sensors and calibrating reagents that records test results on all analytes within 60 very rapidly, often within 60 seconds on the more recent models of portable blood gas analyzers. A range of refined features in portable blood gas analyzers guarantee medical professionals easy operation. Currently there are a number of manufacturers and dealers offering a wide range of top-quality portable blood gas analyzers. 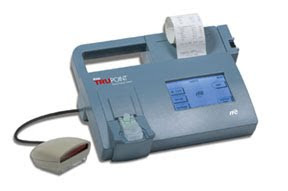 When shopping for portable blood gas analyzers, make sure you purchase one from a reliable source that can assure quality products that deliver consistent performance.